* Learn more and REGISTER. IADE's Zoom Classes, coordinated by Kathy Carlson, offer an online interactive environment to help members further their education. It is vital, in this ever-changing world of technology, to stay abreast of new forensic technologies. Our Zoom classes assist document examiners to stay ahead of the ways that fraud is constantly changing and growing. Not only is this a great educational tool, it also provides document examiners a way of communicating and sharing how they handle difficult or interesting cases. The classes also enable members to use up to date technology to present their cases. Classes are offered quarterly. 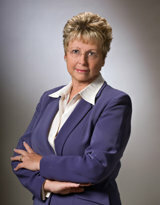 Kathy Carlson is the coordinator for the Zoom Continuing Education Classes. She is a Certified Forensic Document Examiner who started her education in 2009. She attended a two-year mentorship program and has continued her education through yearly conferences presented by various reputable document examination organizations, and through monthly continuing education classes. She has handled well over 300 cases, analyzing thousands of documents, in many different states and abroad. She is President of Forensic Research on Elderly Exploitation, a non-profit organization, and is in the process of engaging in a three-year research project. The project involves working with nursing homes, obtaining signatures from patients with Alzheimer's and Parkinson's diseases and dementia before and after medications are administered. This project plans to track and correlate the differences between signatures and differences between the different neurological disorders. ©2019 International Association of Document Examiners. All rights reserved. Website Design by Lemon Dog Project.